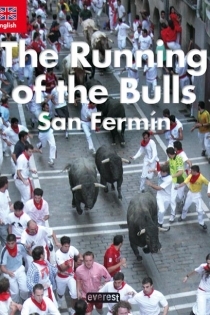 The Encierro of Running of the Bulls, amounts to what was once an everyday activity being upheld as a spectacle, moving the beasts from the livestock farms to the livestock pens or corrals on the outskirts of the cities and from there on to the city centres. Bullfighting was first reported in Pamplona back in the 14th century and at the time they were held in no-man’s-land between the towns or medieval districts, destined for processiones, fiestas and bullfights. Plaza del Castillo, transformed from the time of the Renaissance into the city’s magnificent public square, was ehere the bullfighting continued to be held until the 19th century. And this was ehere the running of the bulls finished up for the bulls from the nearby lands, having old bed of the Santo Domingo gully, one of the historical route into the old city. The construction of a permanent bullring in 1844 brought about a new route, ehich for the first time included Calle Estafeta, and the new bullring inaugurated in 1922, is responsible for the present day route. 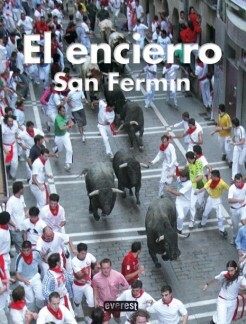 In this book it has been our intention to include everything which is related to , shapes, defines and is the driving force behind the Running of the Bulls, its protagonists and its great moments, its history and its developments, the excitement of the chase, how and why, in the course of these few days, at eight o clock in the morning, half the world revolves around what’s going on at Sanfermines.